Check out our sister pub The Ploughman, an award-winning pub located in Werrington, Peterborough, (the Simmo-spoons flagship pub) with Andy Simmonds at the helm with 10 hand pumps and a great selection of live music and entertainment. We use the highest quality Devon cider apples, fermenting fresh bitter-sweet apple juice each autumn. We have maintained traditional methods whilst embracing modern machinery and processes. 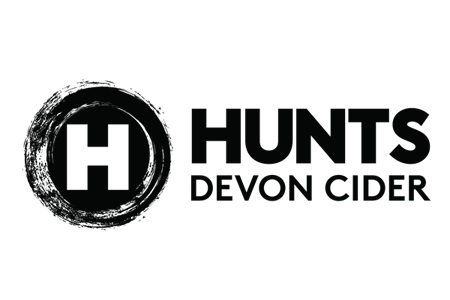 All of this combines to allow our skilled craftsmen to make handcrafted, authentic Devon cider with a unique and refreshing taste for you to enjoy. AC Print specialise in lithographic and digital print. We can offer you the complete package, from design and pre-press, through to finishing and delivery – all under one roof. We are situated in Furzeham, Brixham, just a short walk from the Queens Arms in fact! Portable Appliance Testing, based in Brixham, Torbay, providing a low cost, efficient portable appliance test service to help your business or organisation comply with regulations and ensure electrical safety. Our services cover minor repairs, free replacement plugs/fuses, free Microwave leakage retests, discrete pass labels and certification, free retests of failed appliances, notification one month prior to certificate expiration. Let us keep you safe to enjoy life to the full at the Queens Arms. A warm welcome from Gill and Paul awaits you on arrival at this 4 Star, award winning Brixham B&B. Fair Winds is situated just a 10 minute walk to the town and harbour, and a healthy 15 minute walk to the Queens Arms. There is a choice of four rooms, a luxury suite and a superior suite with self catering options. Four of the rooms are on the ground floor with level access. The emphasis is on high standards of service, cleanliness and hospitality, with a great choice of amazing breakfasts. We operate out of our home port Brixham or Paignton or Torquay, or we can collect you from Teignmouth or Babbacombe (tides permitting) or even Dartmouth. Services include fishing trips for up to 10 anglers, Skerries Bank fishing, wreck fishing, Bay cruises, Channel Island trips. Whatever your requirements in boat fishing Optimist Charters can tailor a trip to your preferences call us for an individual quote and to discuss where you would like to fish. Then pop up to the Queens Arms to complete a perfect day. Beacon House bed & breakfast commands the most stunning views of Brixham harbour, marina and beyond. The sumptuous traditional breakfast is served in “the dairy”. Fresh fruit dishes and locally sourced fish provide alternative options. Nestled in the heart of Brixham, Beacon House enjoys the Queens Arms just at the street corner. A warm welcome awaits you from hosts Amanda, Nigel and Henry (the springer). What’s On South Devon is your one stop source for all of the essential information you need to find out what’s on and where. 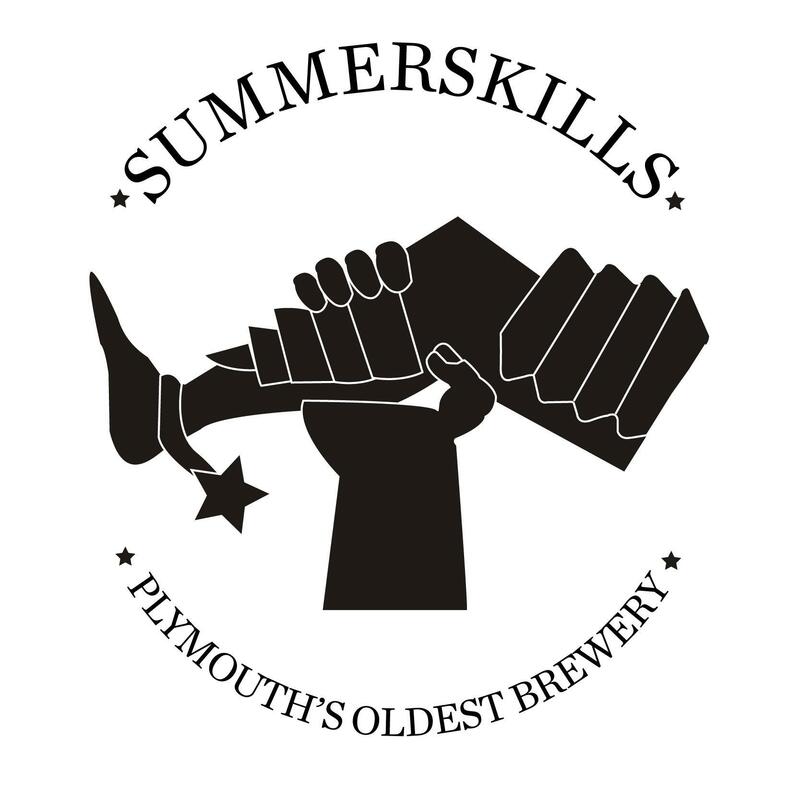 Totally dedicated to live music and theatre in South Devon, and from a great friendly team Jamie Sinclair and Emma Pering, we make sure the Queens Arms entertainment is always in the magazine keeping you up to date. Is your small business website costing you an arm and a leg? Do you pay over the top for little tweaks? Is it a hassle getting small changes done quickly and correctly? Do you maintain it yourself but need help with technical aspects? Scriptit provides affordable pay-as-you-go web updates by a local ex-Nortel software engineer – a Queens Arms customer! We no longer build new websites but we can dive in and change yours. We also develop custom desktop applications and have a creative graphic designer on board. Special expertise in web forms, data presentation, database interaction, back office tools, PDF generation, Excel interfacing, automation and scripting – all the tricky stuff. 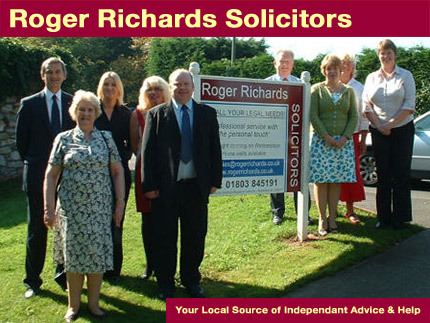 For all your legal needs, contact Roger Richards Solicitors, 10a Bolton Street, Brixham, TQ5 9DE, 01803 854123. We offer a free initial consultation and help with employment issues, litigation/disputes, personal injury, wills and probate, family matters, landlord/tenant issues, conveyancing, etc. – a professional service with the personal touch. 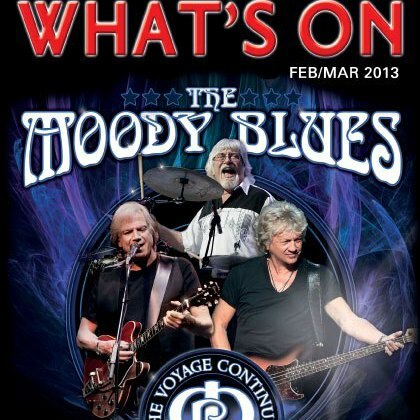 Also at 10 Churston Broadway, Dartmouth Road, Paignton TQ4 6LE, 01803 845191. 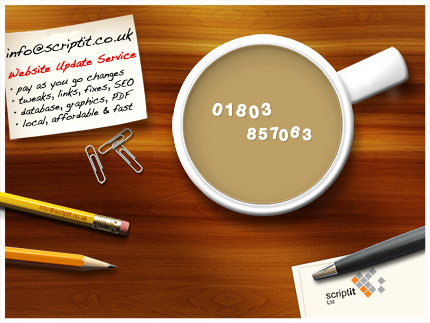 Office open Monday–Friday 9am–5pm (Wednesday until 7pm at Paignton office). Relax in the Queens Arms and leave your worries in safe hands. Laurapakora Design provides Graphic Design services to local companies and organisations. Logo designs, marketing literature, websites, brochures, newsletters and more.